Identifying and prosecuting Trafficking in Human Beings (hereinafter, THB) is often very difficult because of the fear of the victims to testify in a criminal proceeding. Therefore, it is fundamental that there is cooperation among states, at all levels and with a holistic plan of action. However, we usually forget the major role that legal persons can play in combating THB, despite studies showing the importance of companies in this globalized crime. 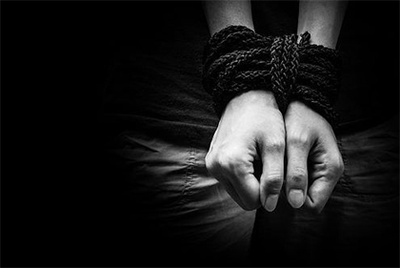 According to a report prepared by the Ashridge Centre for Business and Sustainability at Hult International Business School and the Ethical Trading Initiative, 77 per cent of companies think that there is a credible reason to believe that modern slavery occurs in their supply chains. We cannot demonstrate the real data of the use of corporations to commit THB but it is clear that THB, by its very nature, it is often committed within company's activities and there are companies that are most at risk, such as industries involving agriculture, migrant workers or seasonal product cycles. Therefore, trafficking is a liability for all companies and that liability could be in many countries not only moral, but also civil, administrative or even criminal. For this reason, companies should be aware of the responsibility that they have in the fight against THB and the serious consequences for them if their employers or their managers are involved in this type of crime. Apart from punishment, they would suffer a huge non-material damage as a result of the process. Pope Innocent IV established the Societas delinquere non-potest principle in order to prevent the papal excommunication of civil or business corporations, cities and legal entities for offences committed by one of its members. The principle was later consecrated in most of European systems of criminal laws. The notion of guilt has been considered as a concept of personal nature and therefore a company could not be criminal responsible for a crime until the 19 century, when the corporate criminal liability was set in the Common Law. The Netherlands became the first Civil Law country to introduce it into its criminal system in 1950, and nowadays most European countries have accepted that possibility. There exists a worldwide trend to corporate criminal liability. According to Section 54 of the UK Modern Slavery Act 2015 all companies with an annual turnover that exceeds £36m shall be required to make available a slavery and human trafficking statement for each financial year. That annual statement must address a full of organisational details such as the organisation structure, training about slavery, its policies in relation to slavery and human trafficking, the parts of its business and supply chains where there is a risk of THB and its due diligences processes. According to the Protocol to Prevent, Suppress and Punish Trafficking in Persons Especially Women and Children, supplementing the United Nations Conventions against Translational Organized Crime Trafficking in persons "shall mean the recruitment, transportation, transfer, harbouring or receipt of persons, by means of the threat or use of force or other forms of coercion, of abduction, of fraud, of deception, of the abuse of power or of a position of vulnerability or of the giving or receiving of payments or benefits to achieve the consent of a person having control over another person, for the purpose of exploitation”. Exploitation shall include, at a minimum, the exploitation of the prostitution of others or other forms of sexual exploitation, forced labour or services, slavery or practices similar to slavery, servitude or the removal of organs. T.BIEGELMAN Marin, R.BIEGELMAN Daniel, “ Foreign corrupt practices act compliance guidebook:protection your organization from bribery and corruption”, Wiley Corporate F&A,2010.